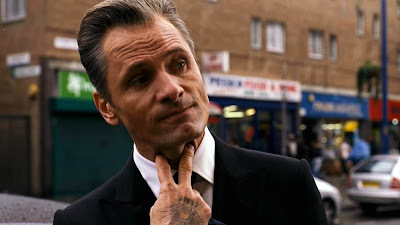 A sequel to 2007's mob drama Eastern Promises has been talked about for over a decade, often teased by its writer Steven Knight. There's a reason why he and others can't stop hoping for more: it's just a damn good movie, with Viggo Mortensen giving a killer performance and one of the most brutal naked bathhouse fight scenes you'll ever see. But it's hard to take it seriously when Knight or anybody says another is on the way, even when it's right around the corner. Don't expect this to be the same movie, though. There are going to be some big changes, starting with 100% less Viggo Mortensen. It's been clear for a while that Viggo wouldn't be returning, and Knight told me himself a few years ago that he wanted Tom Hardy to take over. A major star is still being sought, with Hardly likely in the director's sights. Also, David Cronenberg won't be behind the camera, either. While Knight says there is someone attached, he won't go into details. I'm surprised Knight doesn't do it himself at this point. Another one that I'll believe when I'm actually in my seat and the opening credits roll.